I’ve been struggling just lately to get a reliable wireless signal on my laptop when I’m at work.The problem stems from the fact that Refresh Cartridges is run from a 1920’s building and as such broadcasting a network around the building is next to impossible.If the building were modern day in design then the walls and floors would be practically made of cardboard and in this instance I probably wouldn’t have a problem. I came across some helpful tips online the other day which can noticeably improve the wireless signal which you can expect to get in your home.Whilst most of them are fairly obvious there are a few that you may not have thought off and with many users now having wireless networks in the home these tips are definitely worth consideration. Fairly obvious this one; if you can possibly position your router in the middle of your home you will get a much better and more consistent signal than if the router is packed away in a corner.This is because the router will be most likely be closer to all the machines in the house due to the central location. You should also try to move the router off the floor and away from walls and meter objects.Personally, I was surprised quite how much of a difference this made as just by moving my router one foot away from both the ground and the wall my signal upstairs went from ‘poor’ to ‘good’. A high gain antenna is an ideal solution for those that aren’t able to move their router from being situated in one extremity of the house.A standard (omni-directional) antenna is designed to broadcast in all directions, however ahi-gain antenna will allow you to focus all of the power in one direction. Another good investment for those with larger homes might be a wireless repeater.For around sixty quid, this piece of equipment will allow you to boost the range of your wireless network without the need for any additional wiring.Therepeater should be positioned in-between the original wireless signal and the computer which suffers from the weakest signal reception.The repeater will increase the strength of the signal resulting in a faster and more reliable network. A wireless router can be set to broadcast on a number of different frequencies and although no given frequency is necessarily better than another, you may find that on certain frequencies you experience less experience than in others.The manual for the router should explain how to change the frequency and once done all connected computers should detect the change automatically.Have a play around and see which works best for you. As with most other computing devices, wireless hardware manufacturers will often make free updates available to improve the features or performance of the products they offer after they have gone to market.A router will benefit from a firmware update which updates the software inside the box itself whereas the receiving hardware will benefit from updated driver software which is installed in to the computer itself.Updating is relatively simple; just visit the website of the company(s) that manufactured your equipment and head to the support section you should be able to locate the correct updates with accompanying instructions.By ensuring that your software is up-to-date you can potentially benefit from increased reliability, performance and features. 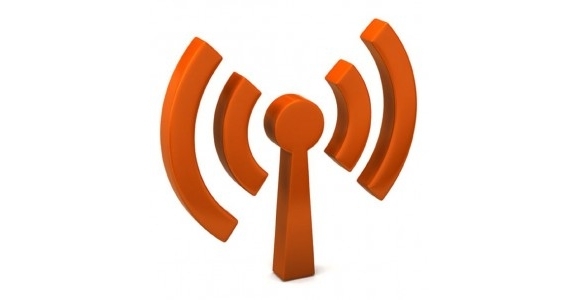 If you are having trouble getting a decent signal from your wireless network then I would recommend implementing the free tips first off before choosing to invest in any hardware.The majority of the tips above will take next to no time to implement and cost nothing but could potentially result in a dramatic increase in the quality of your wireless home network.